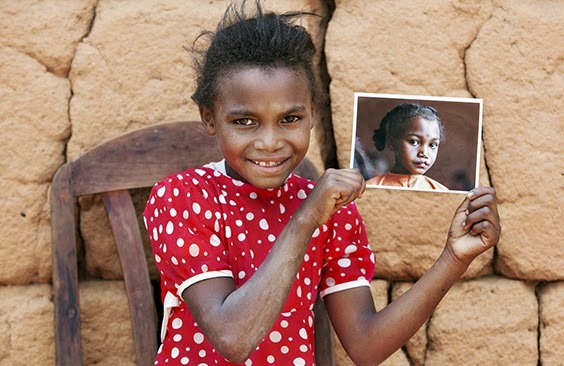 Sidonie from Madagascar lived with a cleft lip for 7 years before Operation Smile changed her life. **Disclosure: The following post is a sponsored post. All opinions are 100% my own. From time to time, we like to share information about charities. Today, we would like to talk a little about Operation Smile and its partnership with CampusBookRentals. Operation Smile has been offering children free life changing cleft palate surgeries since 1982. Since its inception, Operation Smile has provided over 220,000 surgeries for families that would otherwise not be able to afford them. Additionally, the international organization provides local medical personnel in developing nations vital training to help them provide surgeries in the future. Every three minutes, a child is born with a cleft palate demonstrating the great need for these surgeries. Sadly, children born with cleft palates have twice the odds of dying before their first birthdays. Thanks to Operation Smile, the medical personnel that have graciously volunteered their time and expertise and donors, the realities for many children born with cleft palates have been improved. Sometimes, we all feel a little insulated by our lives. In the midst of work commitments, soccer games, dinner planning, paying bills, helping with homework and more it is easy to forget the world outside of ourselves. However, there are many that are in need of adequate medical care. Organizations like Operation Smile are integral for reaching so many of these children facing realities many of us do not see everyday. Working in over 60 countries, Operation Smile has the opportunity to change so many realities. We thank them so much for giving to so many with so much heart! Operation Smile would not be able to function without generous donations. One of their partners is CampusBookRentals which is a service that rents books to college students. With each rental, CampusBookRentals donates to Operation Smile. This year, CampusBookRentals has committed to donate a minimum of 80 surgeries. Amazing! We always think it is great when a business thinks beyond themselves and we are happy to share with you the contribution of CampusBookRentals to so many lives. Above else, we are so happy to see the effort to help Operation Smile achieve their mission.